I am always on the look out for good movies to see. I don't recall seeing this trailer when the movie was out so I'm very glad you shared it. This looks like something I need to add to my "to see" list. 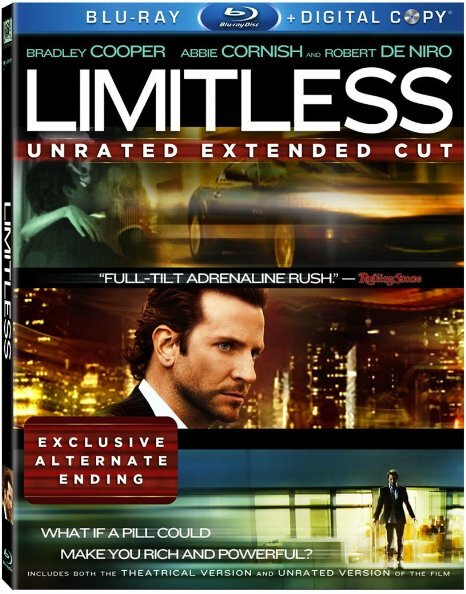 I've seen the promos for the TV series Limitless. Will have to check out both the TV show and the movie. Thanks for your review, Barbara. I haven't seen it at all so I very much appreciate the recommendation. My husband and I are always looking for shows that we both will enjoy. Limitless looks like it would be a great fit for us. Looks like a movie I would like very much. Remember that John Travolta movie Phenomenal? Reminds me of that premise and I love that movie. Going to add it to my list. We watched the premiere of the new Limitless television series and I was surprisingly impressed. Not sure what I expected, but both my husband and I were glued to the screen and that doesn't happen very often. I hope the rest of the series doesn't disappoint. I had no idea there was a movie!